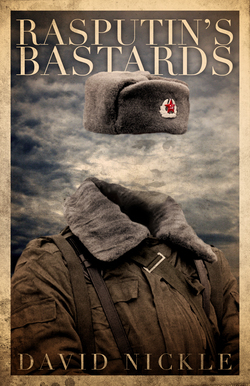 Rasputin's Bastards by David Nickle is first and foremost a spy novel; and reader take note, this is a book that expects its reader to be a clever as the spies whom the story revolves around. David Nickle describes an intricate plot with a baker's dozen of multifaceted characters, and it's a challenge to keep up with each individual and their separate motivations – in some cases, the characters themselves are not self-aware enough to understand their circumstances, and circumstances are subject to change. The reader must contend with the real world and juggle complicated metaphysical ideas involved behind the “sleeper” agents who, to reduce the idea to its basic concept, are “possessing” the bodies of other characters to carry out their goals. Add to the mix a gathering of psychic children and a telepathic infant and the complexity of Rasputin's Bastards multiplies. The writing is good but this isn't a place for the beach-read pulp fiction crowd, and having an understanding of past spy novels (The Marathon Man by William Goldman comes to mind) is essential to appreciate what David Nickle is building, and the style he chooses to do it in. A reader will either love it or hate it; one must keep note of the characters and their subplots while tracking the greater plot unfolding and it's not an easy job to jack-hop from one character's psychological state to another. Nickle gives nothing away to the reader for free, which lends the benefit of surprise when characters end up in unexpected places and are revealed to be different people than they started out as. All in all, this is a read more suited to specific audience who has an interest in the genre of spy thrillers, with a dash of the supernatural. buy it directly from Chizine. Look for Martin Rose's work in the anthologies Fear of the Dark from Horror Bound publications and Art From Art from Modernist Press. More details are available here.